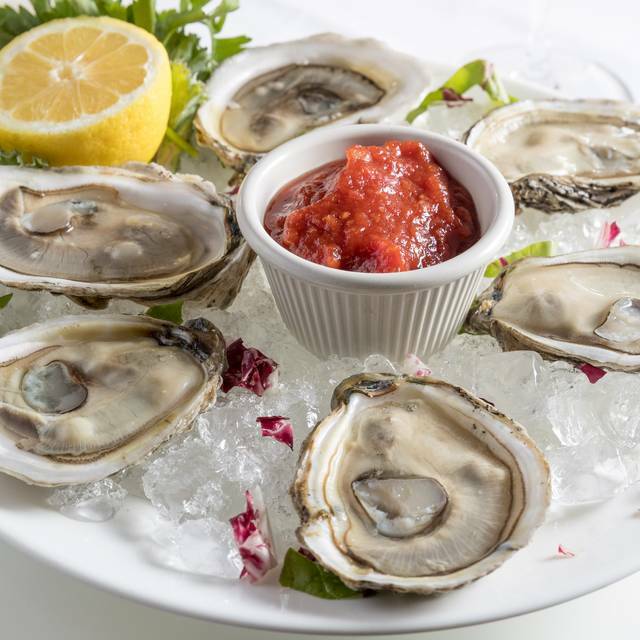 You must make reservations at least 5 minutes in advance of the time at Chazz Palminteri Italian Restaurant. 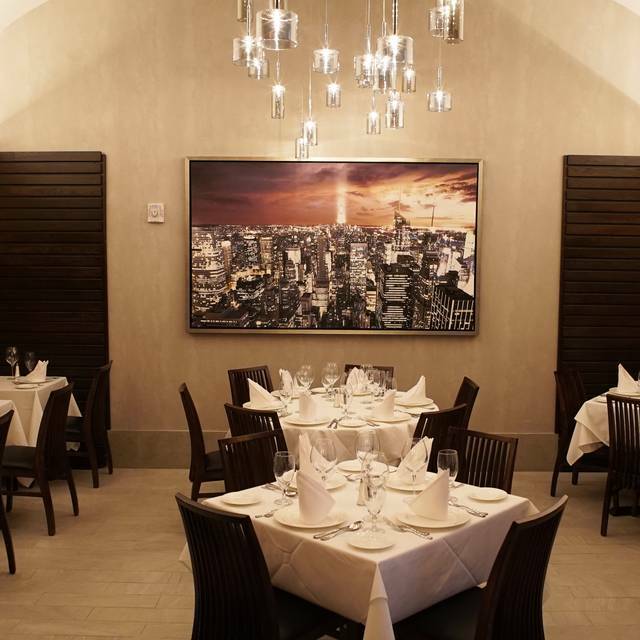 Chazz Palminteri Italian Restaurant, conveniently located on 46th street between 5th and 6th avenues, showcases a modern décor. 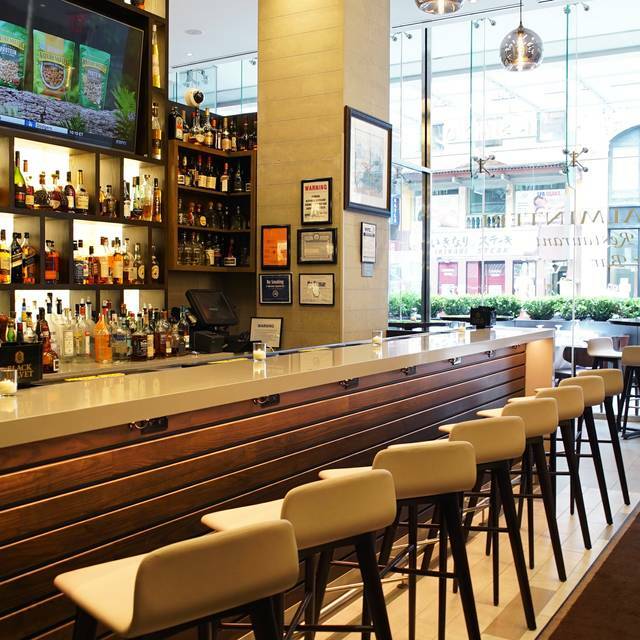 An intimate bar space with a stunning bar and high top seating. 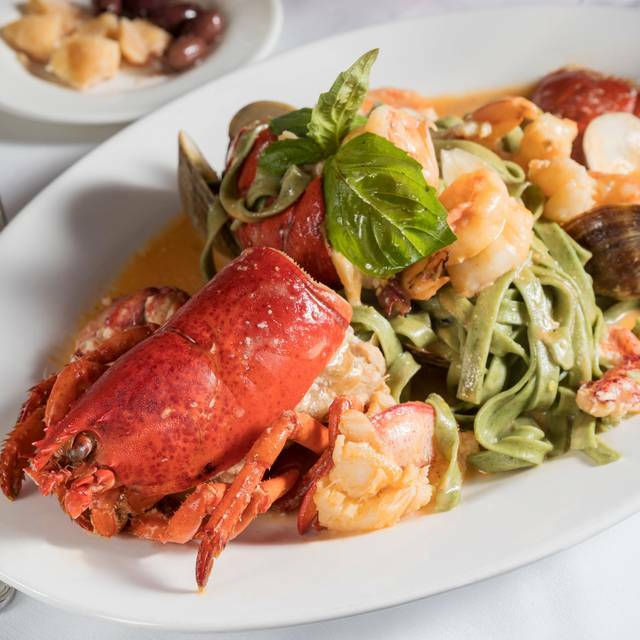 Chazz Palminteri’s features the finest meat, seafood and pasta dishes, as well as antipasto and traditional Italian desserts. 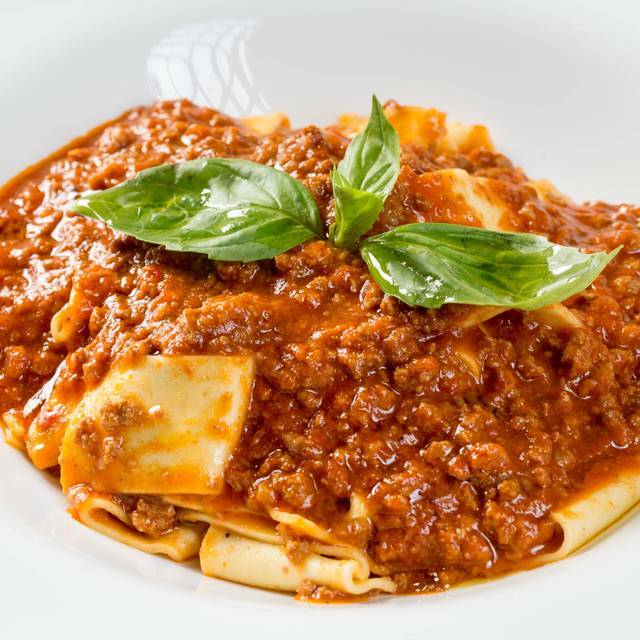 Signature dishes include Zuppa di Cozze, Filetto di Pomodoro and Cotoletta di Vitello al Marsala. 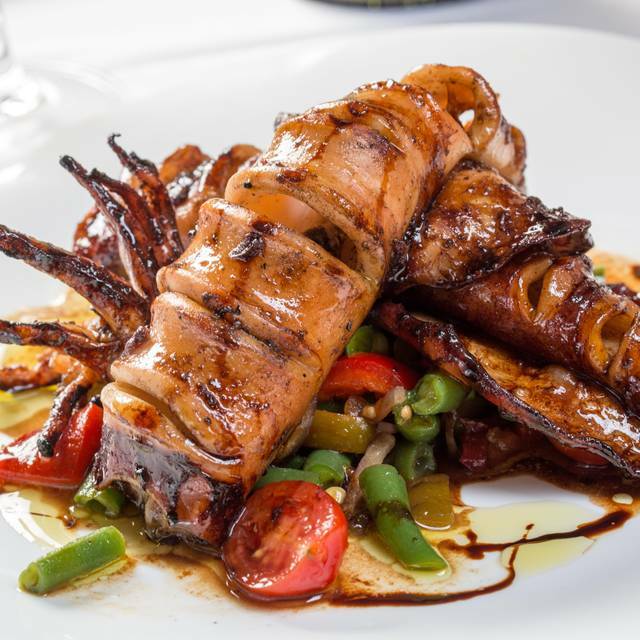 The upscale Italian eatery offers a global wine list boasting close to 250 wines and is curated to pair with the bold, rich flavors of classic Italian fare. Custom cocktails featuring spirits blended with seasonal ingredients as well as Italian and craft beer are offered as well. The space can accommodate 100+ guests for lunch and dinner. 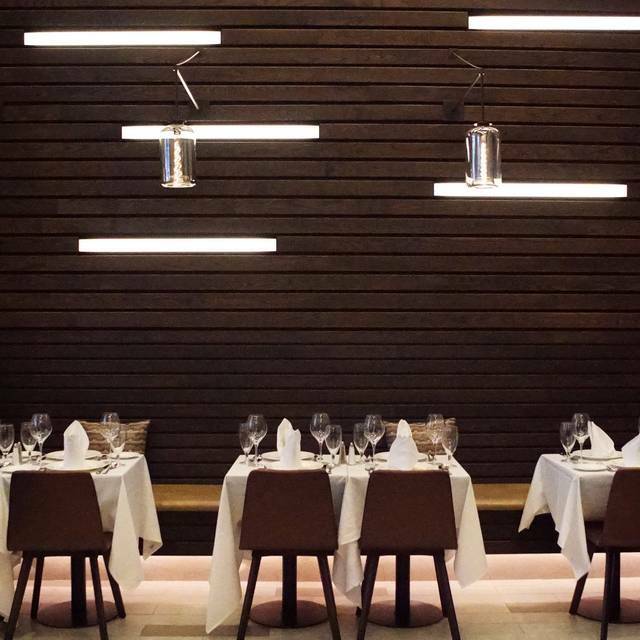 Truly loved the ambience of the restaurant. When we arrived, we could not see the dining room and it was early so we did not understand why we had to wait. We had a happy hour cocktail at the bar which was nice, and then we were escorted to a full dining room! Our servers were accommodating without even asking, and we all had an excellent meal and finished everything on our plate. Recommend! Excellent food and well trained staff. Great pre-show dinner. Food was outstanding. Service was wonderful. Would definitely return. Great NYC restaurant with lots of attention. Very professional and engaged Maitre d'. Dishes were excellently prepared and presented. Great spot for pre-theatre or anytime. Every time we attend this restaurant we have a lovely dining experience. The service is attentive, the food is delicious and the ambience is lovely. I like to spend a couple weekends a year in New York, I'm from Atlanta GA. This is my Friday evening dinner on every trip. They treat you like family from the time you walk in the door. Outstanding food, Truly exceptional service. I look forward to my next trip. Everything about our experience was perfect. We had attentive service and our waiter so easily gave our party of four separate checks. Everyone in our group raved about their food. We had a very good lunch with excellent service. On a recommendation my husband and I decided to eat here. Staff was pleasant and helpful. I ordered the Bronx Tale and was excited to eat it. It looked beautiful. However the lobster was tough and salty, the shrimp was soggy and the sauce was too salty as well. For the price, I was expecting a whole lot more than presentation. Merci beaucoup pour votre attention pour l’anniversaire de mon fils ! Amazing place! Fantastic food! Love it! Love it! Love it! Very attentive wait staff. Very quick timing for appetizers. Wonderful as always! Everytime I am in the city it’s my first stop. After seeing a Broadway play we ate at Chaz and were very happy with the new location on W 56th street. We were very pleased with the staff , Ambiance & Hospitality. The service was exceptional. Everyone who worked here made us feel special. I had a veal dish (I forgot the name but veal with mushrooms), it was amazing. My daughter had a fish and linguine special which she loved and my husband is on a low sodium diet so mentioned this to the waiter who brought him his cod, with the sauce on the side. Also, it was my daughters birthday and everyone sang. Wonderful experience! Waiter was too aggressive. Just sat down and instantly coming over - we felt like we were being rushed. Lighting is awful & you can see everyone taking their phones out trying to read menu. Have been there three times and will not come back. I also had indicated that it was a Birthday for one of my guests and no candle was brought out at dessert time. Excellent wait staff, amazing food and great atmosphere. Phenomenal! The restaurant is beautiful! The service is bar none best I have had in NYC! I couldn’t decide which entree I wanted so our server said he could make the one appetizer sized so I could enjoy both! Portions are quite large as well. The food was absofreakinlutely delicious! Their wine list is extensive. And cognac, coffee and desserts were on point! And to top it all off Mr. Palminteri was dining one table over and took a birthday picture with me. Very nice guy to do that. Seriously, a perfect experience! A real treat that I highly recommend and will repeat myself! Welcoming place with very good food and service. We did order a couple of bottles of wine, but would have liked a wine list with more affordable prices. Everything was perfect! From the private area where they sat us for our anniversary dinner and the exceptional service of our waiter and other wait staff to the delicious food and wine. We will definitely be coming back here again on our next NYC trip. Excellent food, excellent service in an intimate dining experience. Dad took me here for my 35th Birthday...from the moment we walked in sat down and walked out the experience was outstanding. The food is fantastic. The service was top notch. A fan of Mr. Palminteri - especially after seeing A Bronx Tale. Thought it would be fun to try the resturant. Although hostess was warm and welcoming, the gentleman was polite but robotic. Decor a dull modern, lacking character/personality. Interesting hanging light fixtures, I counted 8 burned out bulbs. Waiter was fine. The food was the biggest disappointment. I had a tre colori salad though tasty, showed signs of being chopped the day before. My husband had cappalini marinara. Cappalini was properly cooked but the marinara was not the simple sauce it should be. Instead it was full of onions and pancetta...tasted more like the base for amatraciana. I had Osso Bucco that was unfortunately dry - - my husband had the double veal chop which was good. We had coffee at the end - luke warm. Maybe it was a bad night or a very inexperienced kitchen staff. In any case, a very disappointing and pricey experience. The food was no better than ordinary (surprisingly the bread was stale) and, accordingly, was over priced. We will not be returning. notch. The crispy calamari appetizer was just perfect. The salad was just OK. Service was very attentive and polite. I recommend this restaurant. 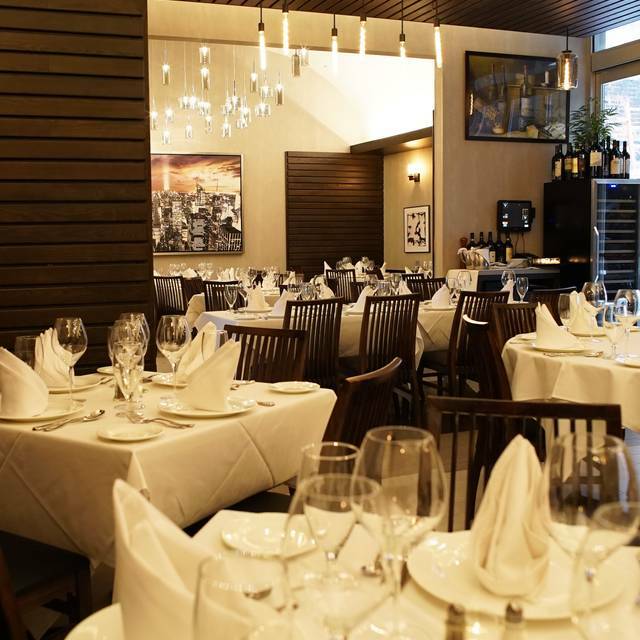 Nice New York style Italian restaurant. Pasta is fresh made and delicious. Staff very professional and friendly. Good for before a show or an intimate meal. Extensive wine menu with excellent values. 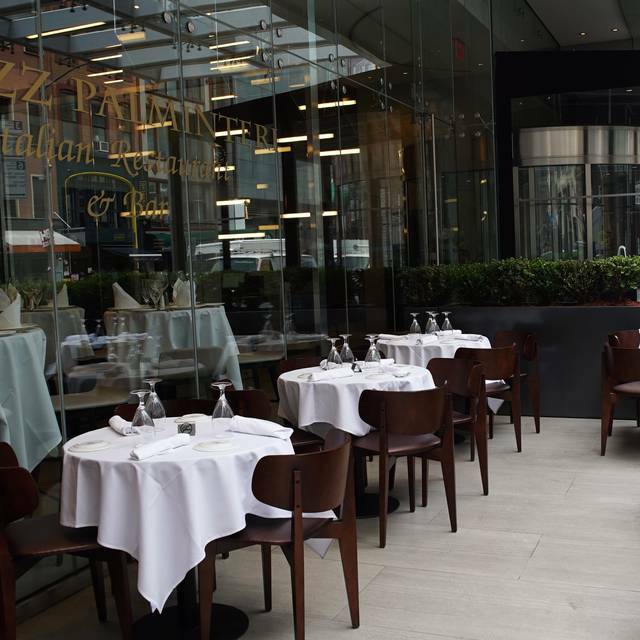 BEST ITALIAN DINING IN NYC. Excellent staff and cuisine was outstanding. The veal shank was succulent. And well prepared. Maitre ‘d Nicko made our stay outstanding with his input and personal attention. Great food and service! We started with the arugula salad it was perfect ,our entrees fresh pasta bolonese it was perfect next tender chicken parmigiana and fruti di mare everything was perfect!! Loved that I could hear our conversation at the table! The service was friendly and attentive. We ordered from the the prix fixe menu, which was good value, and our food was very good. We’d go back there again. Enjoyed our meal at Chaz Palmenteri very much. I had halibut that was a special and it was juicy and delicious. We ordered fried calamari and eggplant melanzane as appetizers which were also very good. We will definitely return.